President Muhammadu Buhari gave assurance to Nigerians in Germany today that his administration will be unrelenting in prosecuting the anti-corruption war. 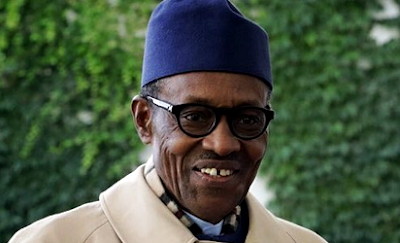 President Buhari He declared that his administration will continue to “to be very hard on corruption’’, in addition to encouraging more Nigerians to pay their tax. “If you work hard and get your money we will try and see how much tax you can pay us, but to take money from government and get away with it no more,’’ the said, wondering why some Nigerians chose to be wicked to their country. He was referring to the several trillion naira worth of oil fraud perpetrated in 2011 during the Jonathan era.
. “They just take the money, stamp some papers without bringing the product and this fraudulent activity was between bankers and businessmen,’’ he said. He also said his administration is greatly encouraged by the uncommon support from Nigerians in the fight against corruption, as well as initiatives aimed at stimulating the economy. President Buhari said his administration will reciprocate the gesture by strengthening critical institutions needed for sustainable development and prosperity. “We are working hard to empower our institutions especially our educational institutions. “If you educate a person that is the best you can do for him but if not you make him susceptible to religious, ethnic, negative thinking and action. “Nigerians are virtually supporting us in our fight against corruption, security and the economy. He referred to “Rolls Royces,” recently discovered in the homes of certain government officials as a clear reference of the rot in society and the fact that the war against corruption in the country is working. “There are things that are happening, which if such had happened before there would have been major riot, like the removal of subsidy on fuel,’’ he said. The President used the occasion of his interaction with Nigerians to underscore the importance of his three-day visit to Germany, the largest economy in Europe, noting that he was upbeat on improved trade ties between both countries because of new investment incentives offered by Nigeria.